Biologist Kat Arney sits down for an interview with Mary-Claire King, American Cancer Society professor of genome sciences at the University of Washington in Seattle. Since the 1980s, King has also used her expertise to investigate human rights abuses and war crimes all over the world, starting with her work to reunite children kidnapped by Argentina’s former military dictatorship with their families. 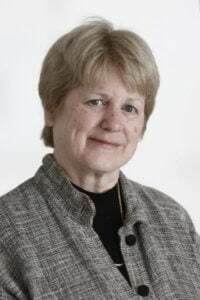 In a wide-ranging discussion, Mary-Claire King discusses her early days of working out baseball problems with her father, why she nearly left science before getting her PhD and how genetics can be used to combat deadly diseases. Related article: Will genetics ever be able to predict the next mass murderer? Listen to Mary-Claire on The Moth podcast telling the story of the bittersweet week in 1981 that launched her hunt for the BRCA1 breast cancer gene.